I firmly believe that James McAvoy is among our best actors working today. I am an unapologetic McAvoyeur. That being the case, I think that we can look upon Victor Frankenstein as a rare off moment, one of those crazy ideas that didn't pan out. Victor Frankenstein was not aware whether it was a comedy, an action film, a horror film, an homage to one of those genres, or maybe something entirely new. 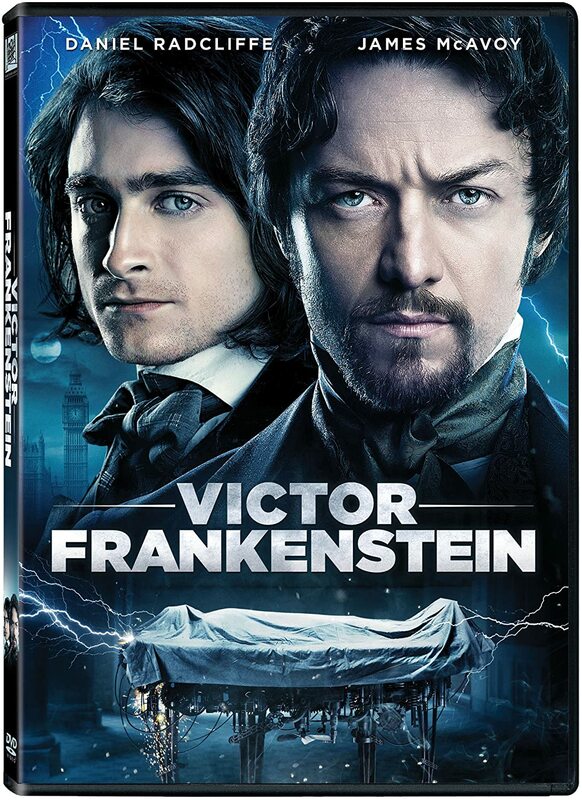 In any case, in the long annals of McAvoy's career (stage and screen), Victor Frankenstein will be either forgotten or seen as an oddity, and we can all have a good laugh about it long after he gets his Oscar (competitive or Honorary, hopefully both). Despite being the title character, Victor Frankenstein is not the main focus of Victor Frankenstein. THAT position goes to the unnamed humpback circus clown/fool rescued by Victor from circumstances that make The Elephant Man look like Gigi. With a new name and some quick surgery from medical student Victor (his hunch being really a very large abscess), he now is known as Igor (Daniel Radcliffe)...what else? Victor sees in Igor a kindred soul and sharp medical mind, in particular when both worked together to save Lorelei (Jessica Brown Findlay), the circus acrobat Igor carries a torch for. Frankenstein is working on some mad scientist experiment involving bringing life to the dead, believing that death, like life, can be a temporary state. Igor is less enthusiastic but he also sees the possibility in all this. They work together and sometimes apart whenever Igor is romancing Lorelei (she having left the circus to become the public mistress of a Count who, in her terms, 'prefers the company of men'). Frankenstein and Igor show off their newest creation to a very uninterested group, but among those who witness the success (and disastrously out-of-control failure) of the experiment is Victor's frenemy Finnegan (Freddie Fox, who in both looks and temperament bears a striking similarity to Donald Trump shill and faux-conservative Milo Yiannopoulos). Finnegan, who comes from one of the wealthiest families in Victorian Britain, offers to fund Frankenstein's experiments no matter what. He is willing to help Victor and Igor escape the dogged pursuit of Inspector Turpin (Andrew Scott), a detective/religious nut (as if there were any other kind), one who suspects Frankenstein of doing The Devil's Work (and as a side note, Turpin is a Catholic, unless Anglicans have rosaries as well). Turpin is convinced Frankenstein is about to meddle in the Lord's domain by creating life, but he can't get anyone at Scotland Yard to see things his way (even after he loses a hand to Victor when they make their escape). He and Igor are equally determined to stop Victor from conducting his mad scientist experiment, though for different reasons. Ultimately Victor reveals his reasons for attempting to recreate life and as can be expected, things don't go so well. I like to think Victor Frankenstein (and Victor Frankenstein) meant well; that's the optimist in me. The main problem is that Victor Frankenstein has no idea of where it wants to go or what it wants to be. Is it a comedy? I doubt that's what they were going for, but it's hard to imagine it isn't when Paul McGuigan directs McAvoy to play Victor like some crazy person, and I don't mean 'crazy' like a genius crazy. I mean like a shouty, sometimes manic figure who apparently does not realize you don't discuss brain color on a double date. Is it an action film? It has the trappings of it (particularly at the end when the Monster emerges). However, by this time the audience has no actual investment in whether Victor's mad science project works or not. The whole "I let my brother die" business feels like an effort to make one sympathize with Victor when it should be his own mad quest to prevent death do that. Is it a drama or worse, a romance? Well, those things come and go as they please, as do some characters. A lot of Max Landis' script doesn't make sense. We get introduced to people as if we've known them all our lives but they just popped up (unless they appeared when I felt drowsy while watching, which is possible). For example, Finnegan looked at first like he was just one of few who showed up to Victor's presentation, but then we find they are frenemies. As far as I know, this was the FIRST time we met Finnegan, so we're all a bit puzzled as to how things came about. Worse is Charles Dance's cameo as Frankenstein, Sr. Daddy says it has been three years since he and Igor have seen each other, but this was the first time WE saw Mr. Frankenstein, so...Unless there was a time lapse going on that went unnoticed or unnoted. Having McAvoy shout, "Get off his heart" when Daddy Dearest comes to sneer at his son does not help matters. Whole storylines and plot points are introduced and then dropped at a whim. So Lorelei becomes an un-kept mistress to a gay baron? That's nice, but we never hear from the Baron again, so why bother bringing that up? So Turpin's wife died? That's not-so-nice, but that's not what motivates his suspicions of Frankenstein. Why bring that up? In short, the script is a shambles, and no one can do much with a lousy script. In terms of performances I can't say McAvoy was horrible. He's never horrible. He just was not directed to make Victor someone to care for or laugh at. Radcliffe should consider not going for parts that ask him to play sympathetic anti-heroes (I still remember Horns). Asking us to imagine a love scene with a former hunchback does not help either. And for the record, I still hate voice-over in film. Having never been a fan of Scott in Sherlock, his dour detective was not someone I cared about either. When your mind wanders off to thinking that maybe if Turpin had been a more sympathetic figure who objected to Frankenstein's work out of genuine worry about Man interfering in God's realm rather than just a sniveling prick we could have had something. Victor Frankenstein brought to mind other Victorian-era fantasy films. Unfortunately they were Van Helsing and The League of Extraordinary Gentlemen. I expect Victor Frankenstein will get a lot of airplay in late-night cable/satellite where it can be mercifully ignored. 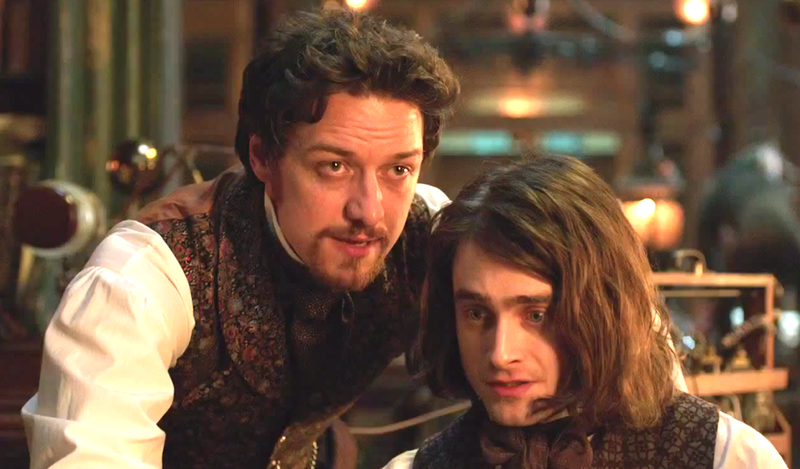 At least Victor Frankenstein did answer one question: in case anyone was curious, James McAvoy is taller than Daniel Radcliffe. I too am a "McAvoyeur". Like his performance as Prof X in the X-Men movies and think that he is a more likable and relatable Xavier than Patrick Stewart. I hope he gets his competitive Oscar soon. I agree: he just needs the right material to showcase his great range. In fact, McAvoy rarely gives a bad performance, so I do consider "Victor Frankenstein" something he tried and couldn't do. Still, I forgive him. Well said. He is very talented and always shines despite the material he has to work with. His was the best performance in X-Men: Days of Future Past and am quite sure this will be the case in X-Men: Apocalypse as well. I agree & hope McAvoy does get his moments & isn't drowned out in the film.